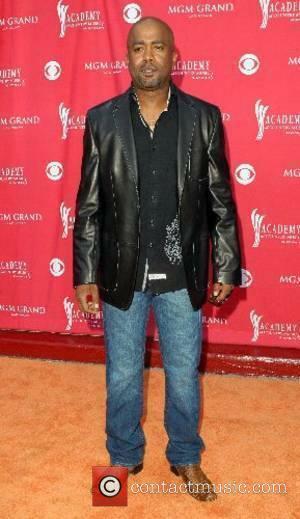 HOOTIE + THE BLOWFISH have split so that frontman Darius Rucker can concentrate on a solo career as a country star. Rucker has revealed the group's AOL Music Sessions show, which was taped in California on Wednesday (27Aug08), will be their last non-charity concert. He says, "We have four charity gigs every year and we will still do them, but we will not do a record or tour. "Even when we play now, we're not as close as we were. I don't miss the getting big or all that stuff, I miss when we were real close." However, Rucker admits the split might be shortlived - he'll consider a reunion after he has recorded "three or four country records." Hootie + The Blowfish formed in 1989 and enjoyed a string of hits throughout the 1990s. These included Hold My Hand and Only Wanna Be With You. Their group's 1994 album Cracked Rear View has been certified platinum 16 times in the U.S. and became the bestselling album of 1995. The band won the Best New Artist award at the 1996 Grammy Awards.